If you’re like me and green isn’t really something you wear often, you’re left with a dilemma each St. Patrick’s Day. Do I borrow my brother’s rugby shirt and pretend it’s nightclub chic or do I forgo the entire green theme and wear my own, admittedly much nicer yet non- green clothes? 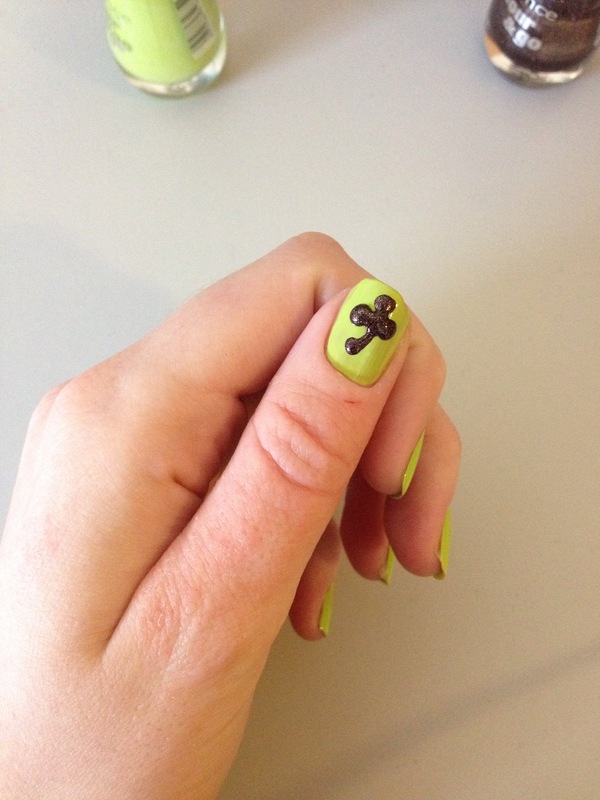 Fear not ladies, the solution to the situation lies in our nails. 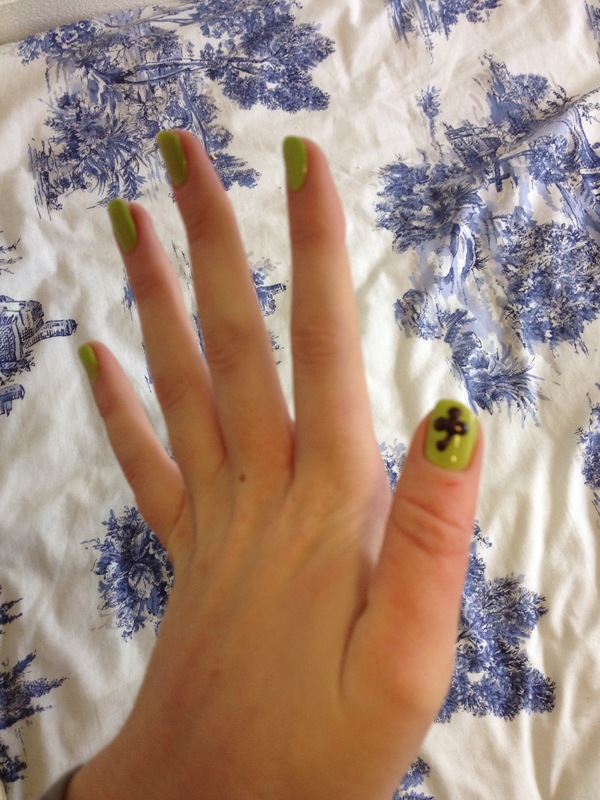 If you’re struggling to find something appropriately festive to wear, why not invest in some cheap green nail polish and get creative with some Paddy’s Day designs? 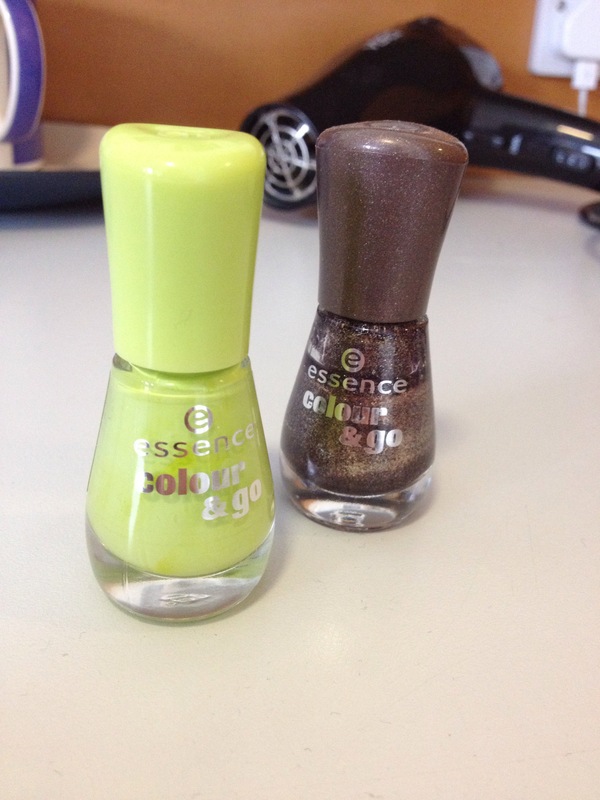 For this tutorial I used essence colour and go nail varnish in green and black. It’s cheap and actually really good quality. 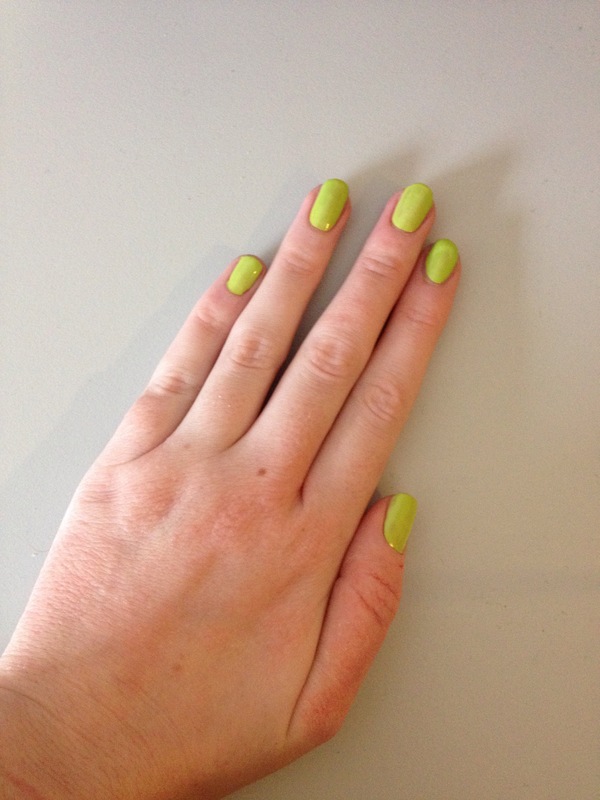 Step one: paint your nails green using one thick coat of polish and let dry. Step two: Get your black nail polish and swirl around the brush in the bottle so it has loads of polish on it. 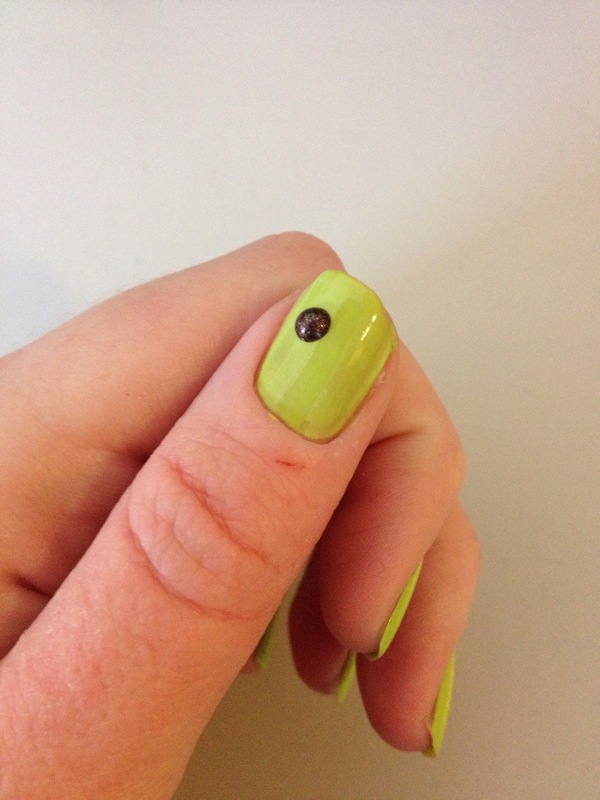 Then bring close to nail and let a drop of polish fall onto your nail and form a black circle. Step 3: make two more similar dots in a triangular shape on your nail, join together and create a line coming out of the conjoined dots. You should now have a shamrock of sorts. Step 4: Repeat on as many nails as you want. I only did my thumbs as it’s pretty time consuming. < Previous Happy St. Patrick’s Day!